After the article I wrote last week about racism in Jasper, TX, I have received calls from residents of Jasper who say that AOL/Huffington Post called them regarding allegations that the Police Chief, Rodney Pearson, was being discriminated against because he is black. Talk about Race Baiting! The media does not care about the several white people who have filed lawsuits because they were discriminated against by the Police Chief and the City. They don't care about that. As soon as they hear that the black police chief claims he is being discriminated against, that is when they care. Can anyone say liberal media bias? Rodney Pearson is not the victim of racial discrimination. Rodney Pearson is perpetrator. He is the one victimizing others and racially discriminating! AOL/Huffington post is looking for another race story that they can sensationalize to make the white residents of Jasper look like villains when they are actually the victims. Background info: I recently wrote an article about how racism has cost the city of Jasper millions due to the city having to settle with several white candidates filing racial discrimination lawsuits after being rejected for police chief by a majority black city council that instead had a backroom meeting and picked a less qualified man, Rodney Pearson. Pearson even has a criminal record and he lied about this criminal record on his police chief application. As a law enforcement officer, I know that lying about any criminal history on a law enforcement application is something that will get you immediately terminated. Pearson was inexplicably hired anyways and this decision seems to be based on the fact that Pearson is black. All the city's procedures and qualification standards for picking a police chief were disregarded and the black members of the council met in a backroom meeting to pick Pearson. When Rodney Pearson took office, he fired or demoted many of the white police officers. The city council then went on to give Pearson a $5000 raise even though city policy says he has to wait until after his first year to get a raise. The council, feeling the backlash for their bad decisions, even tried to give Pearson a big contract that would prevent a future city council from being able to fire Pearson without incurring a hefty financial loss. 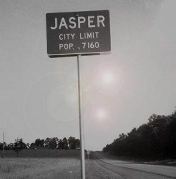 Needless to say, Jasper had a recall election and two of the three black city council members responsible for hiring Pearson and for promoting the bad decisions of the council were kicked off of the city council after a vote of the people. The media tried to make it look like these black council members were kicked off because they were black. That of course was laughable because Jasper has and has had many black city leaders who the citizens of Jasper elected and like. It was not about race with these 2 council members who were kicked off of the council (Willie Lee Land and Terrya Norsworthy). It was about their decision to hire a police chief who was less qualified than all the other candidates and who had a criminal record and LIED about it on his application. It was about the council discriminating against others and making other bad decisions. It was about the right of the people to decide who their leaders are and recall the leaders who are not doing the right things. So here we are today. The people of Jasper just elected a couple of new city council members to take the place of the members who were kicked off the council in the recall election. Rodney Pearson knows that his days as police chief might be numbered because this new council might fire him and hire a new police chief based on qualifications and not race. The new chief they pick might be black, white or brown. Race will not matter. Qualifications will matter. Pearson knows he might be fired soon so he has devised a plan to to either secure his job or get him a nice settlement as a parting gift. Pull the Race Card and get the liberal media involved! Rodney Pearson has recently announced that he is getting ready to sue the city for him being racially discriminated against. Pearson was HIRED over all the other more qualified candidates and he was given a hefty raise within the first year, but somehow HE is the one why was racially discriminated against? You want to know the evidence that Pearson uses to show that he was discriminated against? Get this, Pearson says he was discriminated against because the city did a background check on him when he was hire. that is Pearson's proof. This is a joke and it is just fitting that AOL/Huffington Post is looking into Pearson's racism claims and yet they are ignoring the half a dozen lawsuits from the white candidates who WERE discriminated against when the city hired Pearson as the police chief. On a side note, State Representative James White has had his district redrawn to include Jasper County. James White is a black conservative and one of the best representatives in the Texas Legislature. I fully support James White for re-election against Mike Hamilton. I don't support James White based on color of skin. I support James White because he is the best man for the job no matter what color he is. Colorblind is how everyone should vote. He is a super conservative and a strong leader for East Texas! This article doesn't surprise me!